Robinson committed to Western Kentucky before withdrawing just a few weeks into the school year, and did not go off to claim a paycheck abroad as many dudes in his position might. Instead he spent the next year doing what is frequently and vaguely described as “preparing for the draft,” outside the structures of organized basketball, all by himself. This strange backstory might explain why the kid with a 7-foot-4 wingspan, a sproing in his step like young DeAndre Jordan, switchy potential on defense, and a mile-long stride fell to the Knicks with the 36th overall pick. Robinson went on to light up Summer League, putting up a double-double and devouring the skies with his spooky closeouts. But for all his potential he still looked utterly lost out there on occasion, making dumb gambles and hucking ugly midrangers, and the lack of any college experience seemed to suggest that he’d be slow to adapt to the schemes of an NBA-caliber squad (if that’s what we’re calling the Knicks these days). Earlier this month Fizdale said Robinson would spend time developing in the G-League, with the aim of getting him as many minutes of organized basketball as possible this rookie season. Now it’s not even November, and Robinson has already logged his first two starts at Madison Square Garden, with some intriguing early returns. Yesterday the Knicks got Rasheed Wallace in the building to talk some fire into Robinson, who is by all accounts a muted and mild-mannered dude, notwithstanding that one chesty Markieff Morris standoff. (Who among us has not been lured into beef with a Morris twin at some point?) Anyway, it appears that Sheed’s words had the intended effect. 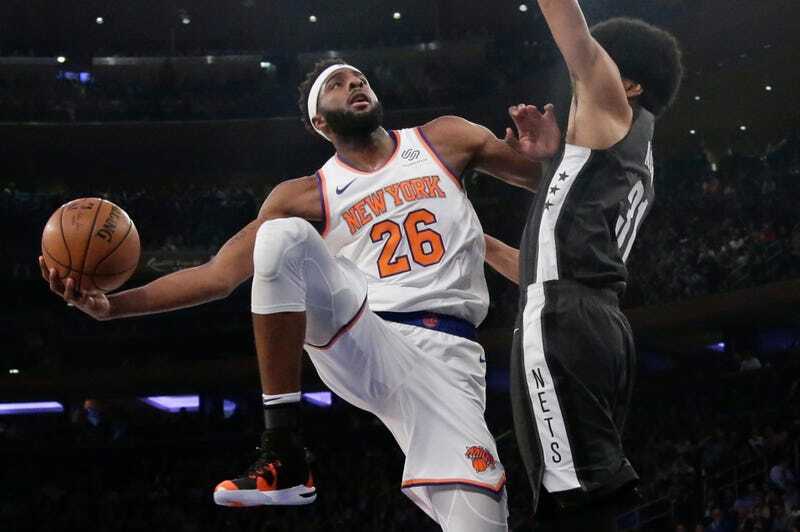 In last night’s 115-96 win over the Nets, Mitchell Robinson did not miss a shot and had the best outing of his brief career, getting very communicative on defense, revealing some oddball creativity around the rim, and looking outrageously mobile for a seven-footer on a breakaway, all by his lonesome. The future of New York is long. 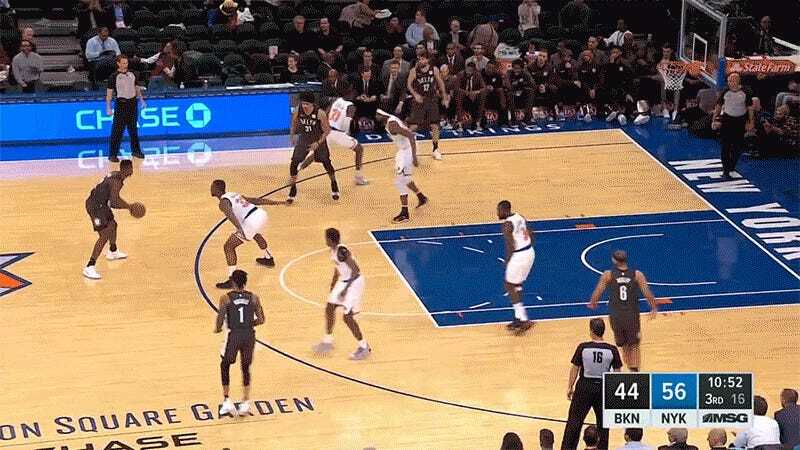 Lineups involving Ntilikina, lottery pick Kevin Knox, Robinson, and Porzingis will be a forbidding thicket of limbs, whether or not a certain six-foot-11 cheesebutt ever shows up.